When you record your progress in your dairy, you have a written record that is a positive reminder of the healthy changes you are making in your life. 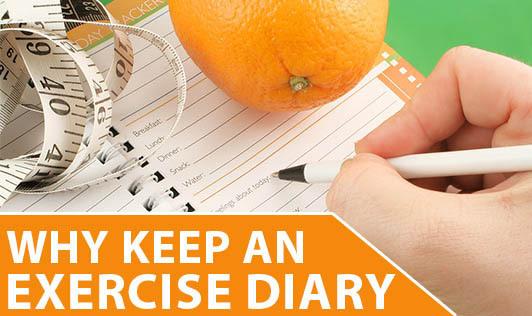 Helps plan future activity and exercise patterns. Helps clarify and focus your exercise and fitness goals. Helps break down your big goals into smaller goals. Helps keep track of your progress towards your goals. Helps record your actual activity and progress. Helps manage your exercise habits. Helps you to schedule and monitor exercise rest days. Helps take guess work out of the fitness and weight loss equation. Helps overcome the hidden barriers to your weight loss success. Helps understand the relationship between your exercise habits, lifestyle habits and successful weight loss. Helps to prevent us from over-exercising.